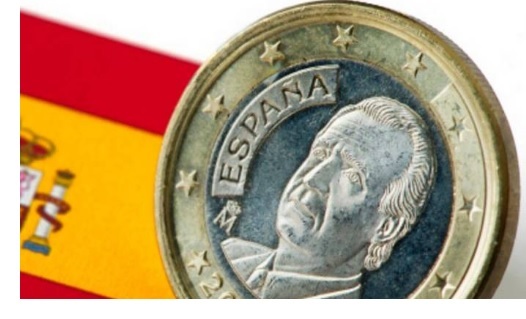 The Spanish central bank’s latest estimate comes after caretaker Prime Minister Mariano Rajoy secured a better-than-expected result in June 26 elections, increasing his People’s Party representation in parliament to 137 seats from 123. Rajoy fended off a challenge by the anti-austerity platform Podemos by stressing his record on restoring economic growth and pledging to create 2 million jobs by 2020. While still short of a majority in the 350-seat chamber, Rajoy said he hopes to reach a government accord within a month. The Socialists and liberals of Ciudadanos have ruled out supporting Rajoy. So far, the Spanish economy has shrugged off political uncertainty, growing for 12 quarters in a row. It expanded at a rate of 0.8 percent in each of the previous three quarters. Even so, the Bank of Spain sees growth slowing to 2.7 percent this year and 2.3 percent in 2017, from 3.2 percent in 2015. Rajoy said last week he expected growth would top 3 percent this year. The National Statistics Institute is set to publish data for second-quarter gross domestic product at the end of July.